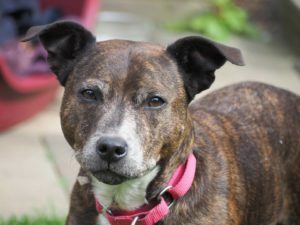 Little Ruby is such a sweet, gentle small sized Staffy who is 8 yrs old. She is very well behaved and is never any trouble at all. 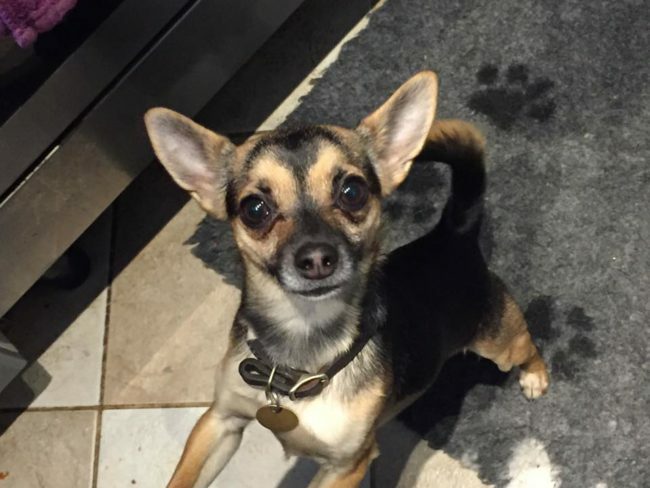 Ruby is fully housetrained, she doesn’t chew at all, is very quiet and can be left for a few hours with no problems. 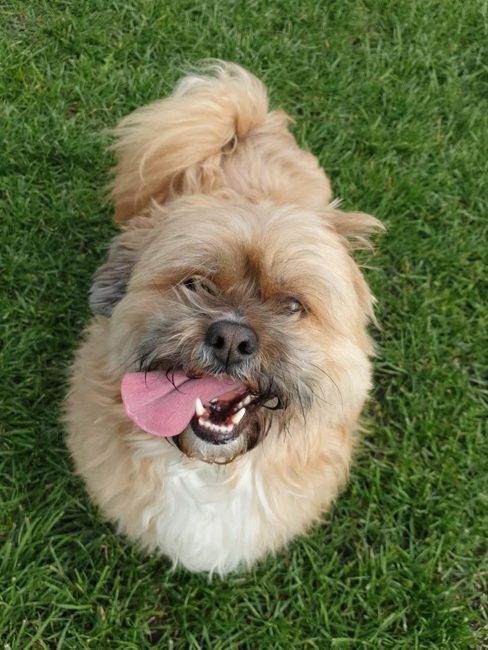 She is currently living in a foster home with another dog, and we are ideally looking for a home with another friendly calmer dog for company for her. Ruby is very easy to walk and doesn’t pull on her lead. She is very loving and will wrap her paws around you for a cuddle – she will make such a lovely companion and deserves the very best in life from now on. She has a sensitive side and prefers a more quiet home, so we are looking for a home with no children under 12 for her. This entry was posted in Female, Good with dogs, Happy Endings, Medium by Amanda HYPS. Bookmark the permalink.